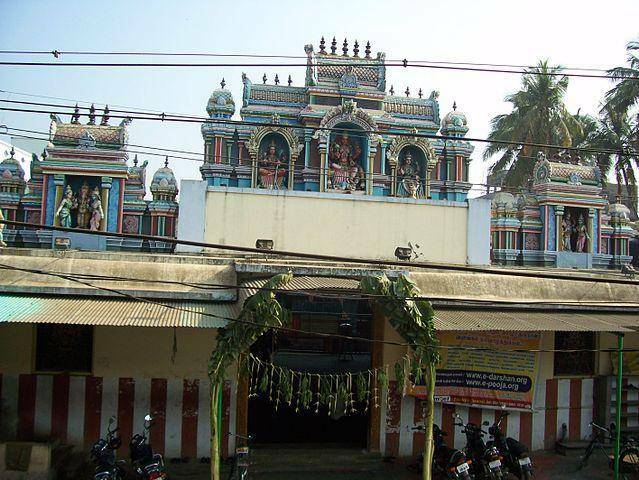 Vekkaliamman Temple is located in the Woraiyur Town which was once a capital for erstwhile Chola Dynasty. The town is the birth place for some great legends like Thirupaanazhwar (one of the Vaishnavite Sage), King Pugazh Chola Nayanar and King Gochenkan Chola. The main deity is facing the North direction. As per Hindu myth, the Goddess facing North will bring victory and success to their devotees. Hence many Kings worship Vekkaliamman before leaving for Battle in ancient times. Also as per the historical facts that once there was a Rishi named “Samara” who had a beautiful garden of flowers. The Sage offers those flowers as a garland to Lord Shiva in “Thayumanavar temple”. Paranthaka, a local florist once supplied flowers from sage’s garden to King of Woraiyur and got pat-o n-back from the King. The florist started stealing flowers every day from the garden to stay make King Happy. Sage found out the crime and complained to King, but the King didn’t give him Justice. So the sage went to Lord Thayumanavar and Lord Shiva grew angry and cursed so that the city of Woraiyur to sunk in sand storm. Local People got sacred and asked Vekkaliamman to help them. The Goddess took the heat caused by anger of Lord Shiva and pleaded him to sacrifice the people. Sand storm stopped but then many people lost their house and huts. Since then Goddess Vekkaliamman also stayed without roof until all her people gets roof. Many times devotees tried to build the roof for the Goddess but the roof didn’t stay long. From then till now, the Goddess stays with rain and shine falling on her with roofless.